It’s official! 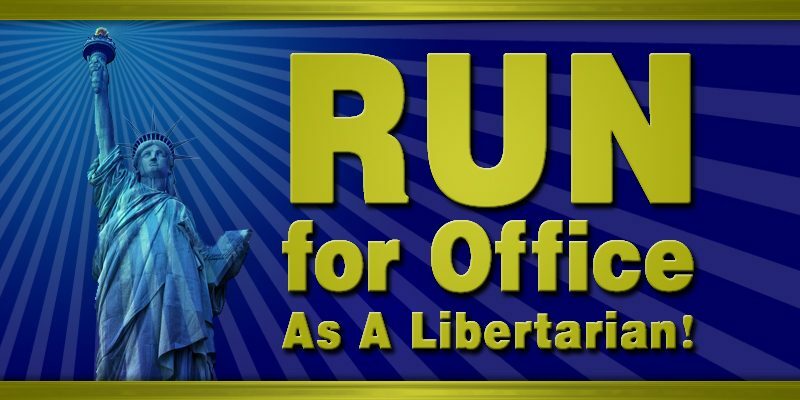 The Libertarian Party will be on the ballot in Arkansas in 2018, and we’re looking for candidates to run for public office. If you believe that government should protect the rights of the individual, that people should be able to lead their lives however they see fit with minimal interference from government; if you believe that freedom and prosperity flourish in a world where markets are allowed to work and the U.S. is at peace with its neighbors and the world, then please consider joining the Libertarian Party of Arkansas, and running for office as a Libertarian. Our party is committed to filling the ballot with liberty-minded individuals like you, to help hold officeholders publicly accountable. 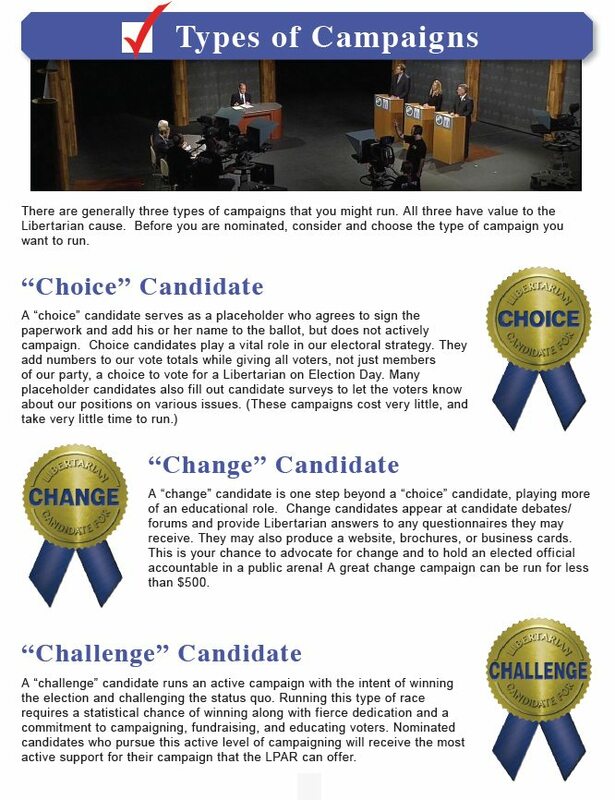 In the Libertarian Party strategy, there are three different kinds of candidates (see below). A full-time commitment is not required to make a significant difference. Of course, we hope that our candidates will run vigorous campaigns, challenging the entrenched status quo. But it can also be helpful to simply give the voters another choice on the ballot, providing the option to vote for more freedom and less government. As the convention date draws near, we will be in contact with all prospective nominees to request more information about you and your campaign. A small filing fee will be required before the convention ($100 or less). For those who receive a nomination, we will be providing some basic candidate training and tips for campaigning during the convention. Join today! Get Involved! Run for Office!